fuel for thought: NGVs: What IS the payback time? 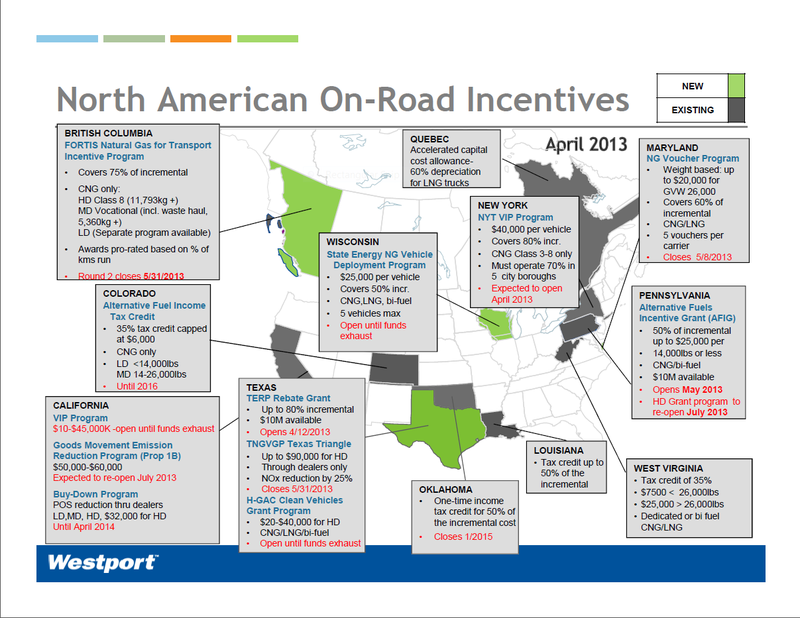 NGVs: What IS the payback time? Natural gas is making headlines as the newest transportation fuel of choice. The New York Times and Bloomberg both recently reported on large companies, such as FedEx and AT&T Inc., switching to natural gas vehicles (NGVs) for their fleets. Amidst this activity, there have also been varying estimates about the amount of time it takes to recoup the extra initial cost of purchasing an NGV from the savings gained from filling up with either compressed natural gas (CNG) or liquefied natural gas (LNG) as compared to diesel or gasoline. Media outlets quote sources as saying it takes anywhere from six months to eight years. It’s worthwhile to consider payback times carefully, given it’s a key factor in the decision-making process to transition a fleet to natural gas. • What is the differential in cost between the original fuel (gasoline or diesel) to the new fuel (CNG or LNG) in energy equivalent units? 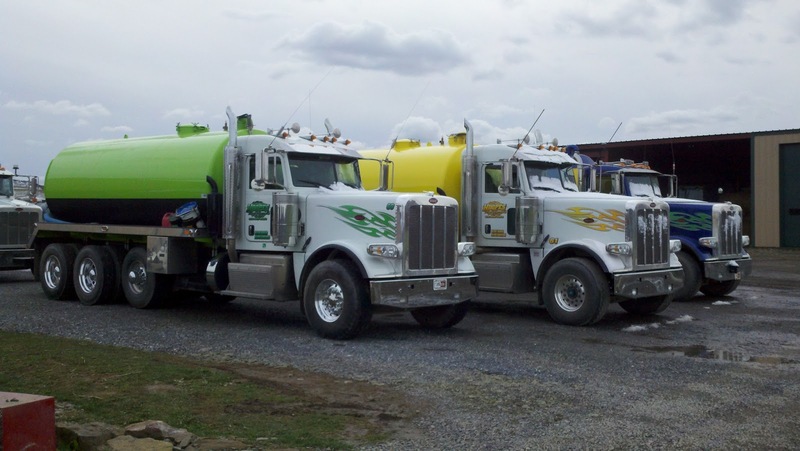 • What is the incremental cost of buying a natural gas truck? This calculation can vary since some states or provinces offer tax incentives. The U.S. Department of Energy’s Alternative Fuels Data Centre is a great resource for determining tax incentives in the U.S.
• What is the total fuel consumed in one year? This calculation is based on miles driven and fuel economy. Note idle hours, if they exist in large amounts, should be converted to miles driven at the rate of 32 per hour for gasoline engines and 20 for diesel engines. Edgelow says every customer has to assess what he/she currently pays for a diesel gallon and what they would pay for an LNG/CNG gallon based on their location since prices vary between stations, states and provinces. For instance, according to this Wisconsin State Journal article, average prices by state for CNG range from a low of $1.20 in Oklahoma to $3.34 in Connecticut. The upfront, additional cost of a CNG-powered pickup is $9,500. A truck driving 30,000 miles (48,000 kilometres) per year getting 15 miles (24 kms) per gallon (3.7 litres) on gasoline uses 2,000 gallons of fuel per year. $2 per gallon difference x 2000 gallons used = $4000 estimated per year in savings. Estimated payback time = 28 months. Here’s our payback calculator for the Westport WiNG™ Ford pick-up series of trucks where you can make your own calculations. REV LNG is a Pennsylvania-based LNG distribution company that supplies on and off road customers with LNG. The company designs and implements LNG fueling systems for companies and hauls materials for the oil and gas sector. They own 17 Peterbilt 18-wheeler trucks that are fueled with LNG, purchased since 2011. President and COO, Preston Hoopes says since they operate their trucks 24 hours a day, they are experiencing an 18 month payback time period. In his experience, the payback time has ranged from 18 months to three years, depending on how many hours a company runs its trucks. The company has over one million documented miles on natural gas tractors and was one of the first trucking operators to convert their traditional diesel fueled trucks to natural gas in Pennsylvania. They were operating a natural gas fleet before an LNG fuel station was commissioned in the state. “We’re using the trucks ourselves, so when our clients ask us what it’s like to actually drive them, we can speak from experience,” Hoopes says.